WARNING: This post contains spoilers for the movie Avatar. One thing that I have found most annoying about the movie Avatar is the chorus of praise for its "scientific accuracy." I don't know of any movie short of Star Trek that has tried so hard to convince its fans that it's based on real science, and fallen so short. So I thought it would be useful to just make an archive showing that the movie is not science-fiction; it's science mixed with fantasy. We'll start with one of the most complicated ideas in Avatar, the Avatars. The atmosphere of the planet Pandora is so poisonous that no human can breathe it for more than a minute. The RDA Corporation and its scientists are also trying to study and negotiate with the indigenous sentient lifeforms of Pandora, the Na'vi. Their solution is to create a genetically-engineered clone that combines human and alien material which can be controlled remotely by a human. Because the human drivers are using the clones as surrogates, they are called Avatars, hence the movie's title. It seems like a simple idea, but it's loaded with problems. First off, the very idea of the Avatar program makes absolutely no sense. They think it's a great idea to spend billions of dollars to create human-alien clones so they can look like the Na'vi and that will build trust. I don't know how effective it would have been in 1492 for the Europeans to put on make-up and Native American clothes in order to pass as a Native American, trying to win over hearts and minds. Just talking to the Native Americans as themselves and finding common ground was just as effective, if not more so. The humans could have done the same thing with the Na'vi. Imagine you're a Na'vi and another Na'vi walks up to you and says, "Hi, I'm actually a human in a Na'vi body. Does this make you trust me more?" Even if this was a good idea, the Avatar program is overkill. The humans could have painted themselves blue and put on stilts in order to get on the Na'vi's level. Or maybe the company could have stopped shooting and killing Na'vi. That might have gotten them more goodwill than making Avatars. Besides all this, the program doesn't reflect well on the Na'vi, since it implies that the Na'vi don't trust or respect anyone that doesn't look or act like them. You can't even say that this is a misunderstanding, since it seems like Dr. Augustine came up with the plan, supposedly someone who knows and understands the Na'vi better than anyone else. That means the Na'vi are extremely xenophobic creatures who can only relate to other beings that look like themselves. Not exactly sure that's the message James Cameron was going for. The expense of the program also seems to make it prohibitive. At one point, they say that the Avatar clones are expensive, costing billions of dollars each. There are so many other options to achieve the goal of peace with the Na'vi short of creating the Avatars that it seems like overkill. But that brings up another problem with the Avatars, which is that the RDA Corporation doesn't seem to care very much about the expense they've put into it. The RDA Corporation makes a big deal about how expensive the Avatars are, but then treat them like garbage. Colonel Quaritch pulls the plug and leaves the Avatars lying out in the wild, unprotected. The Corporation sends huge bulldozers to tear up the Na'vi sacred tree, and a sortie to destroy HomeTree without even checking to make sure that their very expensive Avatars are out of the area. But let's assume that the Avatar program makes sense. Now we can get into the real problem, the technology behind it. In the movie, the fusion of human and Na'vi genetic material is glossed over, but has huge implications. Specifically, the idea that you could mix alien DNA with human DNA is ludicrous. Even mixing DNA of two similar species on Earth often produces bizarre, unexpected, or even fatal results. The Na'vi are a completely different life-form that evolved on a completely different planet. The structure of Pandoran genetic material should be so different from human DNA that combining it would be impossible. The movie doesn't really explain why mixing alien and human DNA together is even necessary. The human DNA doesn't really seem to affect the clone that much. 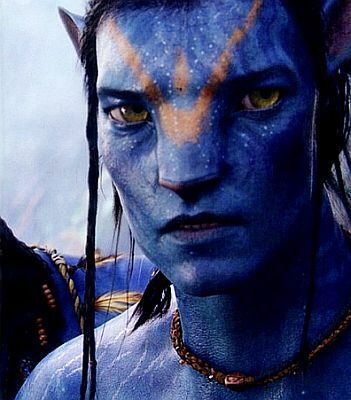 The Avatars look almost indistinguishable from the Na'vi themselves, except for minor changes like having an extra finger and more humanoid looking eyes. There's no explanation for why a purely Na'vi clone couldn't be remotely controlled. According to the official guide, it has something to do with the human interface, like the Avatar needs a more humanoid brain than the Na'vi possess. I'll give them that. Speaking of the interface, Avatar also glosses over how the connection between the human and the Avatar made. However data is transmitted would have to convey an enormous amount of information, including sight, sound, taste, smell, and touch, as well as send instructions to the muscles of the Avatars to get them to move. There are no cables attached, so the Avatar's data must be somehow transmitted wirelessly through the air. In real-life, any wireless transmission can be affected by weather, distance, and terrain. Even the slightest interruption in the Avatar signal would either ruin the experience or cause the Avatar to malfunction. If the signal was interrupted entirely, the Avatar would be useless. It would also have to be instantaneous, because even a fraction of a second delay in performance would be noticeable, and make the Avatars harder to control. These are problems that plague remote-controlled robots sent to other planets from Earth today. In the movie, the Avatar transmission system works perfectly, which could only be achieved by magic. They might as well have extended this magical ability to allow people to remotely control the Avatars from a space station or even from Earth, so no one would need to go to Pandora at all. As for the actual Avatars themselves, there's one glaring moral and technological issue that never gets addressed. We know that the Avatars have at least something similar to normal brains, since they show a scan of their brains in the movie. Yet the Avatars seem incapable of functioning on their own. Whenever the connection to the driver is interrupted, the Avatars collapse and go unconscious. That means the Avatars have some sort of mental retardation that makes them nothing but bodies with just enough mental capacity to breathe and survive on their own, but no consciousness. Was that done intentionally during the cloning process to prevent them from acting independently of their drivers? That would open up a huge ethical debate about creating living beings with the physical and mental capacity for independence, but crippled for the sole purpose of turning them into mindless zombies. Also, it seems like it would be just as effective to make the Avatars sentient on their own and send them out to work with the Na'vi instead of having someone else remotely control them. Another flaw in the concept behind the Avatar is that it's a technology that's we don't see being used anywhere else in the movie. For example, Mankind has the ability to mentally take control of another life-form remotely, but that technology is limited to alien clones. It should actually be easier to use the same technology to interface with machines than living beings. Yet we see people still working with old-fashioned control sticks on aircraft. Computer displays are handled by buttons and switches. Even the enormous AMP exoskeletons driven by the military are controlled by relatively crude hand-arm manipulators. It would be much more effective to just have the military jack the AMP directly into their brains to control. For that matter, they wouldn't even need to have anyone inside of them. The technology would allow them to make the AMP remote-controlled drones, that way the drivers wouldn't be in danger while their out in combat. Using the system for living things opens up a whole new world of possibilities. People would be able to command their pets remotely. They could create clones of themselves and send them out into dangerous situations. The military could even create a race of super-soldiers that are bigger, stronger, and tougher than the Na'vi and send out armies to defeat the indigenous. Maybe that will be in the sequel. In addition, one of the major plot devices in the movie is that the Corporation and the scientists don't know where Jake is or what he's doing, so they can't help him or know that he's helping the Na'vi until it's too late. That makes no sense. No company would put someone in control of a billion-dollar genetically engineered being and let them do whatever he or she wanted without being able to monitor it. "Here you go. Go ahead and wander off into the forest with our billion dollar investment. Let us know how that works out for you." They would at least have some sort of GPS tracker on the Avatars to track their location. More importantly, the scientists and the Corporation would want to remotely monitor the actions of the Avatar, if only so they can guide it or gather information that the handler might miss. Modern robots have video and audio feeds for their controllers. If they can transmit sight and sound to an Avatar driver, there's no reason they couldn't duplicate the feed to a video screen and speaker so they could see and hear whatever the Avatar does. Then there are some minor nitpicks. Like in the beginning, they discuss the amount of training required to control an Avatar, and Dr. Augustine makes a big deal about how Jake isn't trained to work an Avatar. That's realistic, since there's an enormous difference in his size, shape, and physiology, not to mention the tail Jake needs to control. In the present, humans who just get an artificial limb take months of practice and training in order to control it comfortably. But all that is thrown out the window when Jake activates his Avatar. After stumbling around a little bit, he is instantly able to adapt to and control his Avatar just fine. UPDATE 06/15/10: Added links to support some of the main points. What do you think of Avatar's Avatars? I think this movie demonstrates what lifeforms can achieve if they push themselves beyond the pale. However the technology piloting the Avatar through the "Brain Machine Interface" granting Jake the freedom and ability to join the Na'vi in his new body relies on pure Avatar magic, creativity and technical elegance. What a trip! The keyword there is "magic," not science. I'll be getting into the deux ex machina ending later on. But that's the problem. If they would just market the movie as fantasy, we wouldn't have this series. I especially like the part about the ramifications of the technology. It's expensive and time-consuming, but no one seems to care. The contrast of avatars and clunky robots is kind of jarring when you think about it. Science fantasy vs. science fiction merely depends on whether you frame explanations for the devices in fantastic or pseudoscientific terms. Giving too detailed renditions of the "science" makes the illusion too vulnerable to becoming outdated quickly. Glossing over is necessary since future science is not yet at hand. Regarding the combining of genetic material from different species, a random combination usually does not work. Just picking out a few useful human genes and inserting it into bacteria is commonplace nowadays. That explains why the Avatars are virtually Na'vi. It just occurred to me, as I read the above, how much better the movie could've been (not that it could ever be 'good', mind you, only slightly better) if we were shown the humans 'plugging in' to their instruments and their pets. It would make a neat parallel to the Na'vi 'plugging in' to their pets and plants. Camaron could actually have made an interesting point! But noooo...! Science is Bad, Nature is Good, Back To The Trees it is, all the way. Argh! Lots of great points I would not have begun to consider. Let me play Devil's advocate with a just few points. The movie is pretty clear about the purpose of the avatar program - it was initiated by a group of scientists to study the Na'vi people - different funding than the resource grab group. That's why Dr. Grace and Parker were always butting heads. The only way they could study their culture was to live among them like many anthropologists do today. The military group under colonel Miles was hired by Parker and didn't really care about the scientists program. The whole "we can negotiate with them" was just an excuse so Dr. Grace could justify her funding to the other program. Lots of politics there. Cameron was always great with politics, not with science. I agree, Raymond, the Avatar project was more about anthropology. That goes back to my original point, though, which is that it's kind of overkill. Scientists have studied apes for years without having to turn themselves into apes. Anthropologists live among African tribes without having to become African themselves. But I agree, politics were good, science was bad. Infographic: The Star Trek Movie "Curse"